“Will we come to the end of our lives and realize that we have wasted our gifts, achieving nothing that will outlive us? Or will we look back and know that when we pass from this world, the good that we have done will remain?” — Ravi Ravindran, Rotary International President. 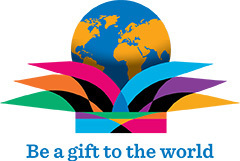 The theme for Rotary Clubs in 2015-16 is Be a Gift to the World — to give the gifts of time, talent, and knowledge to improve lives in communities across the globe. “Through Rotary, we can take these gifts and make a genuine difference in the lives of others and in our world,” Ravindran noted in a recent speech. “TAP” was founded with the goal of establishing a water collection facility to improve the quality of life for the community of Bukota, Tanzania. 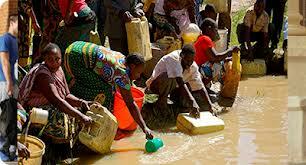 Communities such as Bukota currently collect their water from mud holes where animals drink, leaving their only water source contaminated with feces and bacteria, causing disease. Children often must search for and carry water for miles, preventing them from attending school and obtaining the education they need to raise themselves out of the poverty and disease they are living in. The project establishes mechanisms for collecting and storing rain water, as well as distribution points at schools and churches in needy Tanzanian communities. The GPEI partners, which also included WHO, UNICEF, and the U.S. Centers for Disease Control and Prevention, were able to boost world immunization levels from less than 50 percent in 1985 to over 80 percent in 1992. 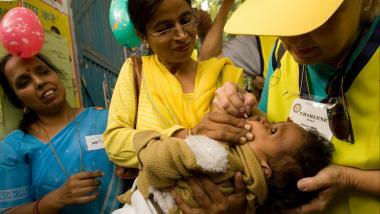 Just five years after the GPEI was founded, the 500 millionth child was immunized against polio. Starting as the brainchild of one Rotarian with the support of his club in 2000, Shelter Box has grown to become one of the largest Rotary Club projects in the 100-year history of the organization. The Rotary International Shelter Box Program delivers humanitarian aid and relief on a worldwide basis in the form of material and equipment that provides shelter, warmth and comfort to people displaced by natural and other disasters. Each box contains a 10 person tent, 10 thermal blankets, a multi-fuel cooker and ancillary equipment such as water purification tablets, a torch and batteries, spade, rope etc. the basics a family would need after losing everything in a disaster. Victims of the horrific earthquake in Haiti have been among the most recent recipients of this life-changing program.